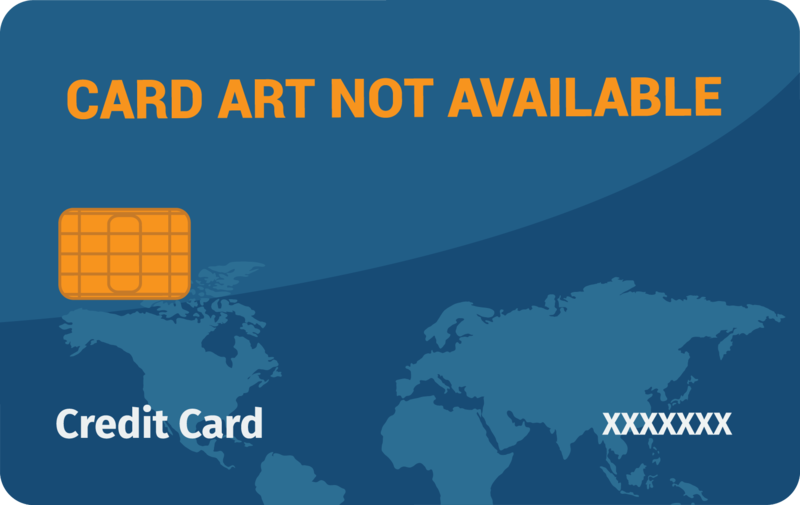 Airline credit cards are associated with a specific airline, such as American Airlines or Delta Air Lines. These cards typically earn bonus points for purchases through the airline and many offer some type of reduced elite status benefit to the card holder, such as a free checked bag or priority boarding. Building up miles/points with these cards can be somewhat harder due to the lack of extra bonus categories. Usage of points is also more restricted with these cards since rewards must be redeemed with a single airline and its partners. However, many of these cards can hold tremendous value if used correctly! The information for the JetBlue Business Card has been collected independently by Upgraded Points. The card details on this page have not been reviewed or provided by the card issuer. 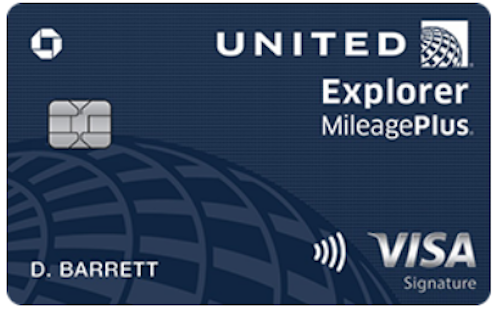 The information for the Chase United MileagePlus® Club Card has been collected independently by Upgraded Points. The card details on this page have not been reviewed or provided by the card issuer. The information for the Southwest Rapid Rewards® Plus Credit Card has been collected independently by Upgraded Points. The card details on this page have not been reviewed or provided by the card issuer. The information for the JetBlue Plus Card has been collected independently by Upgraded Points. The card details on this page have not been reviewed or provided by the card issuer. The information for the Southwest Rapid Rewards® Premier Credit Card has been collected independently by Upgraded Points. The card details on this page have not been reviewed or provided by the card issuer. The information for the JetBlue Card has been collected independently by Upgraded Points. The card details on this page have not been reviewed or provided by the card issuer. How Do Airline Credit Cards Earn Points? 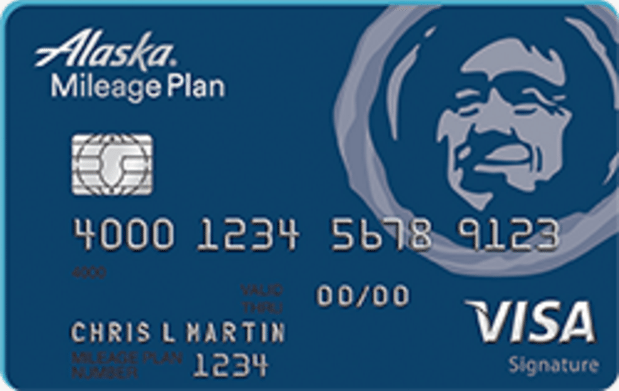 Each airline card will earn two to three points per dollar when making purchases with the airline. There are a few exceptions to this, but in general, you'll find this to be the case across the board. Qualifying purchases don't just include flights, but also bag fees, in-flight purchases, and anything else that will be categorized as a service provided by the airline (in-flight WiFi does not count since it is provided by a third party). For all other purchases, you will earn one point per dollar. Which Airlines Offer Branded Credit Cards? Most major airlines have at least one branded credit card, and many of the largest airlines have multiple options available. Further, a lot of these are cards for those with good or excellent credit scores. We have reviewed credit cards for American Airlines, British Airways, United Airlines, Southwest Airlines, JetBlue Airways, and Delta Air Lines. Airline cards are great for rewards if you have specific carriers you prefer, or already have points in one of the specific loyalty programs. 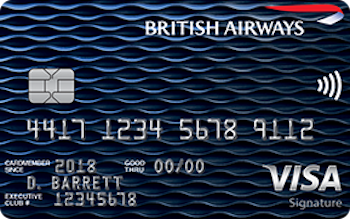 You can earn 2x Avios for your British Airways Executive Club account when you use the Chase British Airways Visa Signature® Card, the only British Airways credit card. After spending $30,000 in a year, you'll also get a free companion pass you can use for an award or regular travel in any class. The card also offers 1x Avios on all other purchases, a 10% discount on all purchased travel (must use a code), and other travel insurances. It costs $95 per year. 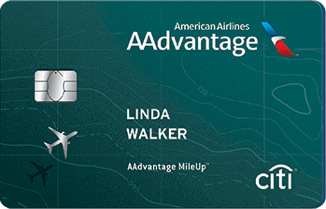 There are 4 Citi / AAdvantage credit cards that we have reviewed on the site. 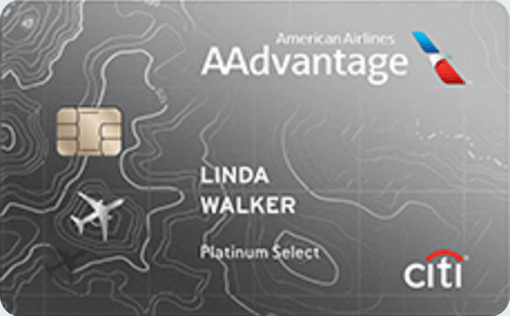 Earn 2x miles in your American AAdvantage account when you use the Citi® / AAdvantage® Platinum Select® World Elite™ Mastercard®. This card also offers a 10% rebate for all miles redeemed in a year (up to 10,000 miles back), 25% off inflight beverages and food, a free checked bag, and priority boarding. You also get access to reduced mileage awards, which are only available every other month and must be booked by phone. Using these options will save you a couple thousand miles per award! For all other purchases, you'll earn 1x miles. Fees are $99 per year but are waived the first year. 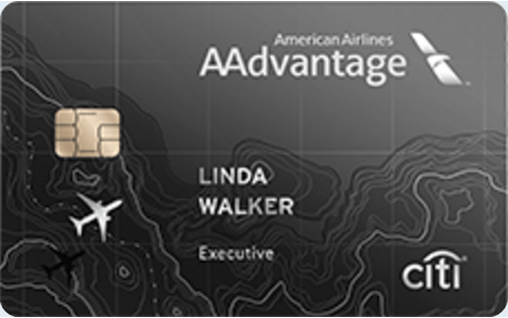 The Citi® / AAdvantage® Executive World Elite™ Mastercard® is the premium, luxury travel card for American Airlines. You earn 2x points on all purchases with the airline and 1x points on all other purchases. However, the card comes with an Admirals Club Membership, priority check-in, a $100 Global Entry Fee credit, and more. The annual fee on the card is $450, but frequent travelers won't have trouble finding value! 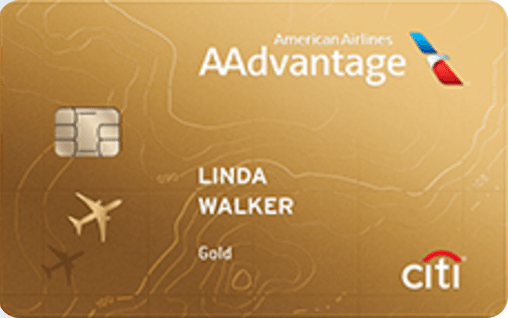 At the other end of the spectrum is the Citi® / AAdvantage® Gold Mastercard®. This simple card earns just 1x points for all purchases. It has Reduced Mileage Award benefits as well as a 25% inflight discount. The cost of this card is $50 per year. 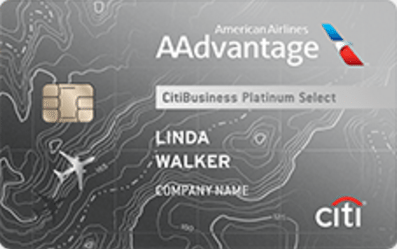 Finally, business owners can earn 2x points for American services as well as on select telecommunications, car rentals, and gas station purchases with the CitiBusiness® / AAdvantage® Platinum Select® World Mastercard®. There are other perks to the card as well, and it costs $99 per year (waived first 12 months). Earn 2x miles in your MileagePlus account for all United purchases when you use the United MileagePlus® Explorer Card. This card also offers a 10,000-point bonus when you spend $25,000 or more in a year, two United Club passes, a free checked bag, and priority boarding. You will earn 1x miles for all other purchases, and this card also costs $95 per year with a first-year fee waiver. The Chase United MileagePlus® Explorer Business Card is very similar in that it earns 2x miles for all United purchases, but it also earns 2x miles at restaurants, gas stations, and office supply stores for the same fee. With the Chase Southwest Rapid Rewards® Premier Credit Card, you will earn 2x points towards your Rapid Rewards account for all Southwest Airlines purchases. The 6,000 point annual bonus helps pay for the cost of the card, and you can earn 1,500 Tier-Qualifying points (TQP) for every $10,000 spent (up to 15,000 TQP annually). One of the most valuable benefits, however, is the fact that every point you earn on the card, (including the sign-up bonus! ), goes toward getting the Southwest Companion Pass. Once earned, this pass is good for the remainder of the current year AND all the way through the next calendar year. This is perhaps the most valuable benefit in all of travel, since it allows you to bring a companion with you on all your flights for just the cost of taxes and fees. Your companion will get a confirmed seat, as this is not just a stand-by benefit. You'll pay $99 per year for the Chase Southwest Rapid Rewards® Premier Credit Card. The Chase Southwest Rapid Rewards® Plus Credit Card earns 2 points per $1 spent on Southwest® and Rapid Rewards® purchases and participating Hotel and Car Rental partners, and 1 point per $1 spent on all other purchases. The Chase Southwest Rapid Rewards® Plus Credit Card costs $69 per year and comes with a 3,000 point bonus every year. The Gold Delta SkyMiles® Card from American Express also earns 2x points for all Delta purchases, which are deposited directly into your SkyMiles account just like most other airline credit cards. When you own this card, you get a free checked bag, priority boarding, and discounted Sky Club lounge access. Additionally, you will get 20% off in-flight purchases when you use the card, on top of the 2x points. The annual fee is $95. The difference between the former card and the Platinum Delta SkyMiles® Credit Card from American Express is that the latter has a big spend bonus which earns additional bonus award miles plus Medallion Qualification Miles. That means you can reach your elite status more quickly to take advantage of some of the nice benefits. The annual fee is $195. Finally, the luxury card for Delta Air Lines is the Delta Reserve® Credit Card from American Express, which has the same point earning structure and similar benefits of the Platinum Delta SkyMiles® Credit Card from American Express. The big difference for this card is the complimentary Delta Sky Club access as well as a Companion Certificate. The annual fee is $450. JetBlue recently formed a partnership with Barclaycard to administer its credit cards. All cards offer some additional perks to flying JetBlue, such as a 50% in-flight discount. The JetBlue Card earns 3x points on JetBlue purchases and 2x points at restaurants and grocery stores. It earns 1x points for all other purchases and has no annual fee. A step up from this card is The JetBlue Plus Card, which earns 6x points instead of the 3x points with JetBlue and has the same earning categories for the other two. It costs $99 per year. Finally, The JetBlue Business Card earns 6x points for JetBlue purchases, 2x points for restaurants and office supply stores, and 1x points for everything else. It costs $99 per year.